The Oakland Raiders rarely have it easy. They’re still in full rebuilding mode, and although they traded for quarterback Matt Schaub, they’re going to face an uphill battle towards becoming a consistently competitive team in 2014. Playing in a tough AFC West division only makes it harder, while the Oakland Raiders schedule outside of the division doesn’t help. 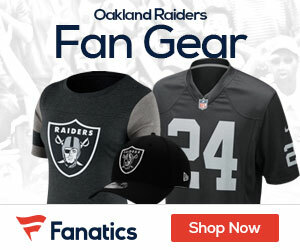 Oakland has it a little easier at home in 2014, but with the AFC West taking on the NFC West, bouts with the Cardinals and 49ers sure won’t be taken lightly. The Bills, Dolphins and Texans finish up Oakland’s home schedule, with all three being winnable games if the Raiders can make the jump their fans are hoping for. It’s a different story on the road, as Oakland has to travel to Seattle to take on the defending Super Bowl champs, and will also have to visit the Patriots, Jets, Browns and Rams. 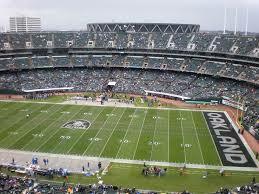 On the bright side, Oakland should have at least a shot at taking down the Jets, Browns and Rams on the road. For a look at all 32 NFL team’s 2014 match-ups, click here.